A distillery tour- The Oldest Distillery of Asia 2 Votes Up! Noble Rot- Great wines from rotten grapes 8 Votes Up! 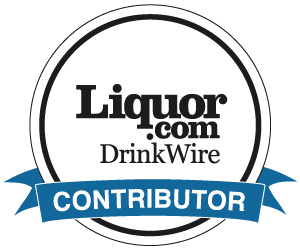 Ardbeg – 200 years of tantalizing your taste buds 12 Votes Up! Kavalan- The award winning Single Malt Whisky 3 Votes Up! 10 strongest beers in the world- Handle your drink... 88 Votes Up! Mezcal- the little less known cousin 3 Votes Up! Grappa- The Italian Elixir 3 Votes Up! Cognac- the drink of the connoisseurs 2 Votes Up! Most Expensive Wines In The World 4 Votes Up! Oldest Wineries in the world 6 Votes Up! Oldest breweries in the world 7 Votes Up! The bucket list- Oldest Distilleries in the World 23 Votes Up! Cocktail Recipe- Blush 27 Votes Up! Recipe- Cucumber mint smoothie 11 Votes Up! Rum, Whisky, Brandy, Gin- Which can get you hooked... 9 Votes Up! Velvet Breeze Cocktail 12 Votes Up! Recipe: tropical float 13 Votes Up!